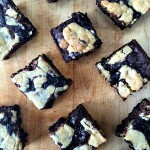 Ten ways to prep for summer - A Life From Scratch. Ah yes. With spring break wrapping up and Easter this Sunday and oh my goodness, the month of April beginning that means one thing is near. That’s right my friends. Even though the weather may suggest otherwise, summer is around the corner. Just about a month and a half until the little ones will be with us. 24/7. For three solid months. Don’t get me wrong. I love it. The longer days. Boys running like mad in the yard. Pool time. Baseball. It’s all very very wonderful. And yet summer can sort of come with a side of chaos if you haven’t really prepped for it. For someone like me who craves, no, needs routine and structure, at time summer can feel a bit out of hand. A bit too much. I’ve been able to recognize that in myself so over the years I’ve developed ways to make the days of summer flow a little bit easier. With some work in April and May to prep and get routines and systems in place, summer will be more impromptu visits to the local farmers market just because and less OH MY GOSH WHERE IS THE SUNSCREEN AND WHY DON’T WE HAVE ANY FOOD EVER. 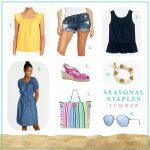 Without further ado, I give you my best ten ways to prep for summer tips. Let’s get it done mamas. Now is the time to book your gal (or in my case, your guy). Everyone’s situation is different, maybe you only need a day or two a week (me). Maybe you need full time. Maybe you just need a go to date night person. Or a person to come by for a few hours here and there so you don’t go mentally insane. Lining up your needs now ensures come May when they are running out of school you can sigh a bit of relief that you are not responsible for them for every. single. moment. until school begins again. Because that is just scary and no way to start your summer. These things fill up my friends. Now is the time to get your kid on the list. We lean pretty light with structured things. I have a love hate relationship with it all. I’ve done heavier activity summers and less heavier activity summers and honestly, both have felt a little crazy. Not sure what exactly the right balance is, you’ll have to figure that out for your own family. This summer I am leaning light and hoping we make it through all the together time okay. An obvious tip would be to line up any camps with their friends, which also hopefully helps you out carpool wise. If your household is anything like mine (a revolving door) it takes a lot of food to keep everyone happy and fed in the summer. I am still shocked at what we consume on a daily basis. Hungry growing active summer kids eat all. the. food. Unfortunately that lands you in a grocery store almost daily and that just sounds plain terrible. Instacart was a life saver for me last summer. They will shop Costco (and other stores!) for you and the best part, unload your Costco order for you into your home. Worth it. Create an account now if you don’t have one. Amazon Fresh is also delivery groceries now, although I have no experience with that as they are not yet in my area. Don’t want to pay delivery fees? You can order your groceries through Wal-Mart, drive right up, and they will place them in your trunk for you. This means you don’t have to bring your children into the grocery store which we all know is never a fun thing to do, ever. 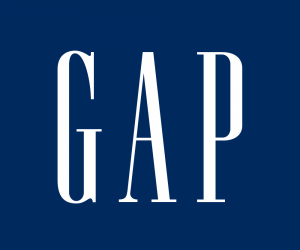 Why wait until school is out and you are scrambling for the basic summer items? Now is the time to get your sunscreen, your bug spray (we so love this brand), band aids, benadryl itch relief sticks, swim diapers (thank the dear Lord we are out of that stage) and so on and so forth. And now, a life changing tip for my family: make summer kits, however many you may need. I make three: one for our baseball bag, one for our pool bag, and one for my day to day purse. 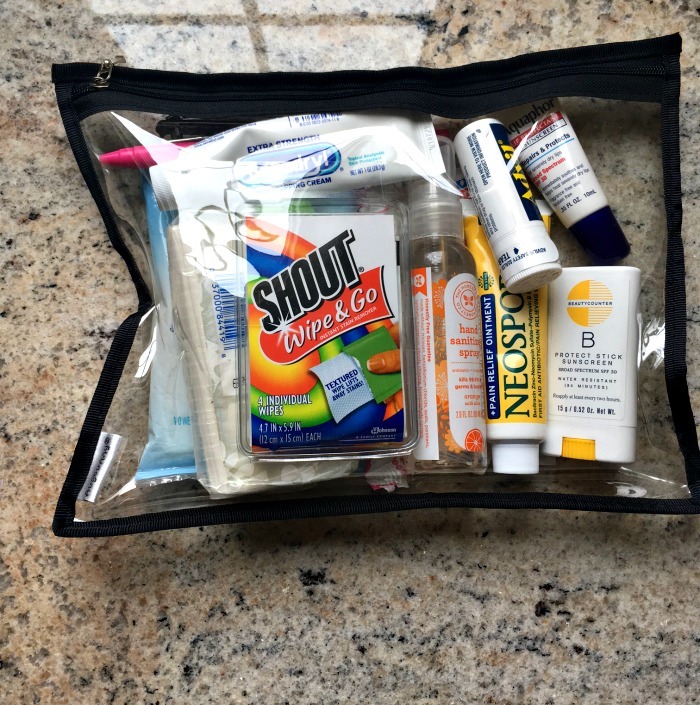 The kits include all the basics: a sunscreen stick, tweezers, bandaids, Advil, hair tie, tampon (ahem), bug spray (our favorite brand comes in a travel size, perfect for these kits), wipes for messy hands, Neosporin, benadryl stick, shout wipes, a pen, etc. I use these clear plastic zipped totes which work great as you can easily see what you are trying to find at any given moment. They have held up great. These summer kits solve the problem of needing things you don’t have or that you left in another bag. Seriously, if you do one thing on this list entire list make yourself some summer kits. Get your pool bag (the best) ready for summer! I get mine all set and organized in the laundry room so it’s ready when we are, or, the darn weather is. 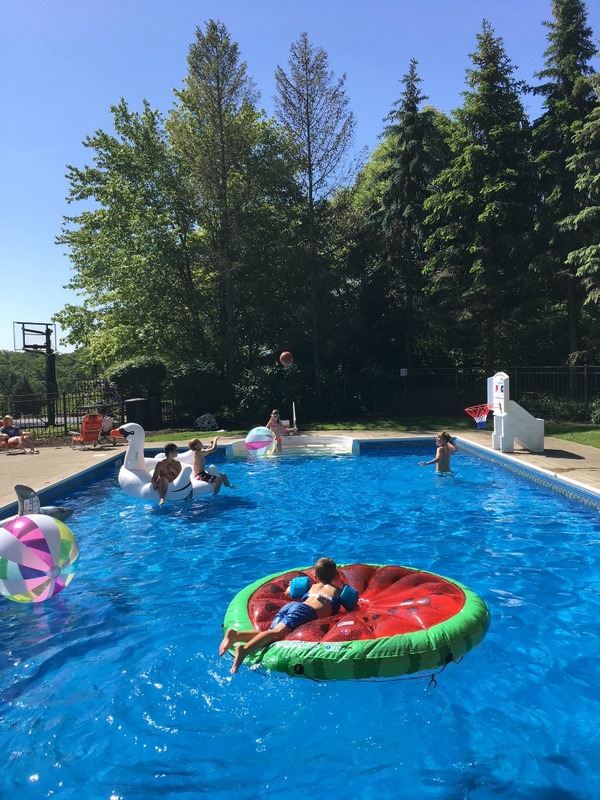 I make sure everyone has swimsuits that fit, towels are washed and packed, the pool bag summer kit is stocked, kids have goggles that fit, floaties if needed, and of course, a ball or two because what is a pool trip without a ball? I generally leave an extra set of shorts, underwear, and tee shirt for each boy in the pool bag. We’ve needed them a few times. This has been another life changing tip for us and is useful for spring and summer, actually – year round! 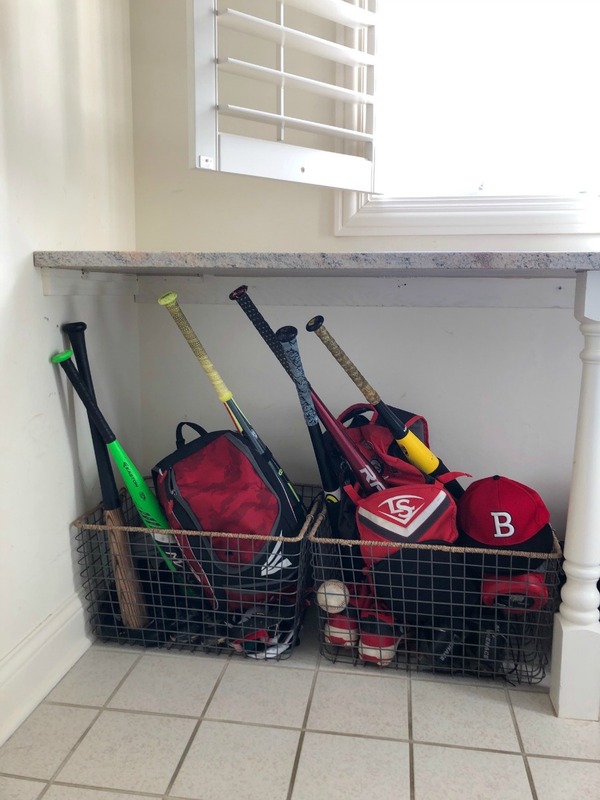 In our home, each of my boys has a sport bin. They know their equipment lives here so that nothing is lost. Their full uniform and cleats live here as well so there is no WHERE ARE MY BASEBALL SOCKS I CAN’T FIND MY JERSEY shenanigans. It’s a very easy solution. Ours lived in our laundry room until I was tired of the boys dragging their dirty cleats and bags over to it so now they are in a clear space right outside the garage door. We get home from baseball, boys dump their equipment and cleats in the bin, take off their uniforms, I wash them, and return to the bin until the next game. Works like a charm. 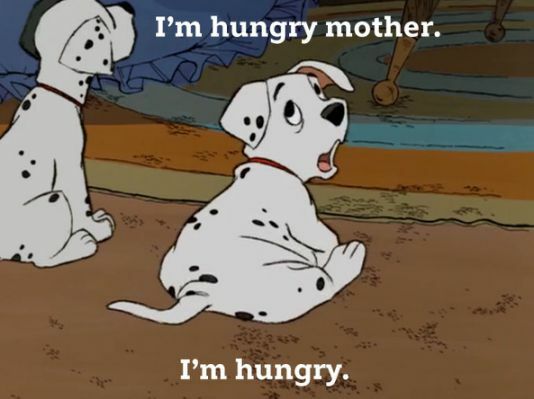 Again, food doesn’t last more than five minutes in my home in the summer. A well stocked pantry and fridge is a solid way to start the season strong. Another great tip is to make your own family’s top ten stocked items. These are go to grab and go healthier(ish) snacks that are great to have around for hungry guests. Think bulk orders of string cheese, hummus packs, almonds, popcorn, baby carrots, sliced apples, etc. Just items that are good to have on hand for the endless ‘I’m hungry’ that you will be hearing over and over again. Take a day or two in the next month and sit in their closets and donate anything that doesn’t fit or they just don’t plain wear. 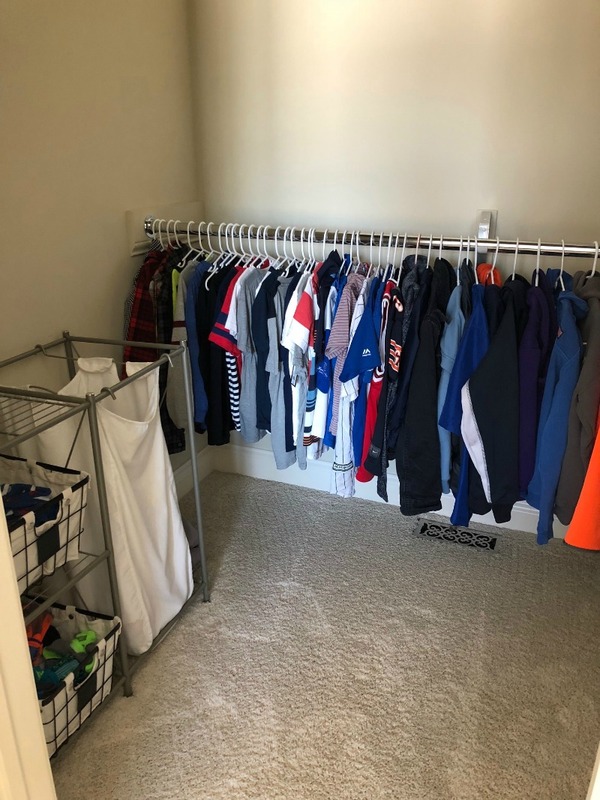 This will make them getting dressed daily much easier and avoid the whole they just throw things on the ground because they don’t fit or like them. 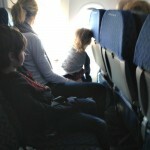 Make sure they have at least two swimsuits each that fit and are ready to go. We haven’t really gotten into the whole chore chart/reward system thing in our household. I sort of just expect my children to be decent humans and to do basic things like: bring in their plates, put their clothes away in the laundry, clean the playroom, pick up toys in the yard and general day to day stuff. 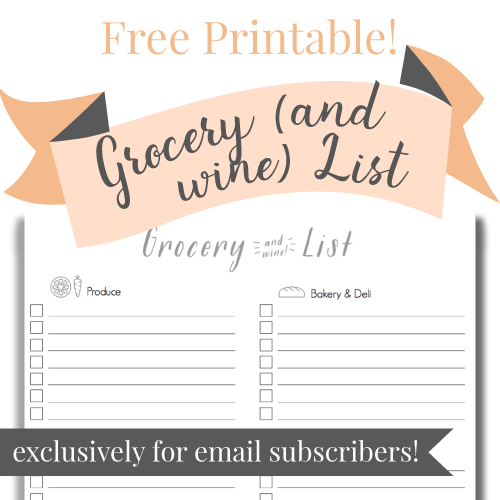 I write out a list that is expected of them and post on their bulletin boards (most they are already naturally doing by habit) and throw in a few weekly items as well. 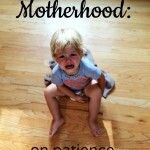 That way kids, mom, dad, sitter – etc – are all on the same page as to what is expected of them. To be honest, bucket lists sort of give me hives. I don’t know, the thought of doing all. the. fun. things. and feeling like a failure if you didn’t. It’s too much pressure! Yet then my darling sister in law had the idea of each family member picking one simple item. Four fun things? Well even I can handle that! I recall last summer not going to my absolute favorite farmers market in Woodstock to buy the most beautiful fresh flowers. Once fall arrived, I totally regretted it. So, I’ve already got mine picked out. Time to get the boys and Mike on board with theirs.